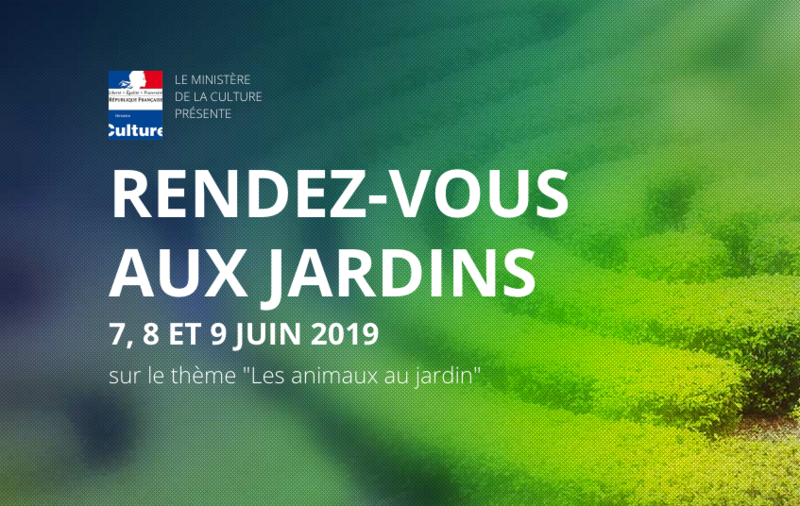 For the seventeenth edition(publishing) of "Rendez-vous aux jardins ", which will take place on Friday, 7, Saturday, 8 and Sunday, June 9th, 2019, the Ministry of Culture invites you in the universe of animals in gardens. This theme is advantageous to question us about the reports(relationships) of the man in its environment and in biodiversity. Declensions seem infinite: pollination by bees, contribution of the auxiliaries(aids,assistants), birds, the sometimes destructive intruders or else the harmful But also, the animals of zoological gardens or those, the sculpted, of stone, wood, metal, osier, who(which) decorate successfully certain gardens, their fountains as their flowerbeds(orchestras). Meeting(Appointment) in gardens has for objective to invite the widest possible public to visit parks and gardens and to inform him(her,it) about the actions(shares) implemented(operated) to protect, maintain, restore, create gardens, train(form) gardeners, gardeners of art, landscape painters.